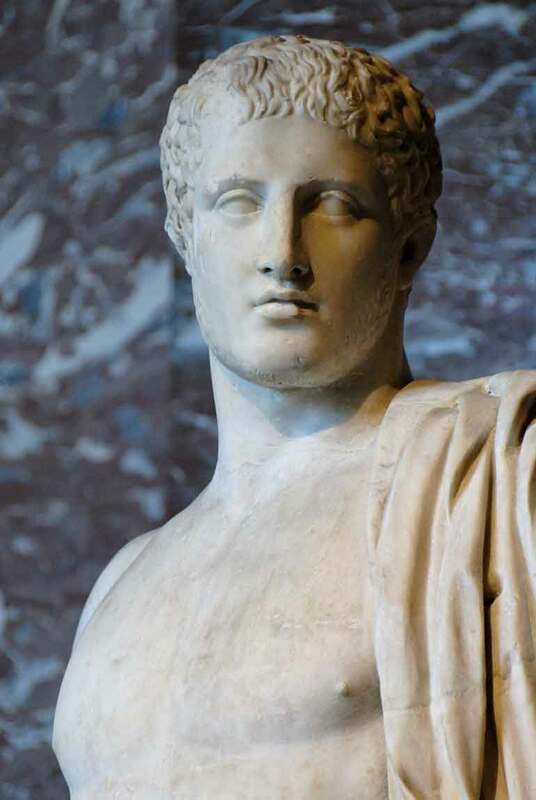 By the name of great Trojan War hero (Homer Iliad), Diomedes , who was seeking for a shelter after fall of Troy at the coast of Adriatic Sea, it is called sea way, which connected Gargano Peninsula with Hyllus Peninsula (best known for Cape Ploče – Diomedes Cape). Old records, in which historical facts are sometimes intertwined with myths and legends with archaeological findings, are merged into a mosaic of a small, yet so strong and powerful world whose historical significance and fate are determined by the sea and sailing. 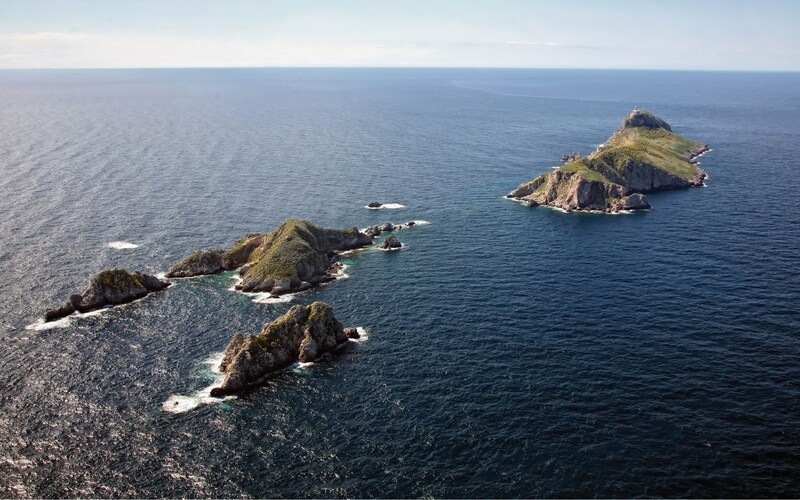 On that, Diomedes route, during last millennium, falkusa boats from Komiža were sailing to Palagruža and sailing back with full vessel of salted anchovy, going with maestral and returning with jugo (maestral and jug are Croatian local winds). Each fishing season always started with regatta. Coming first meant anchoring at best fishing position. 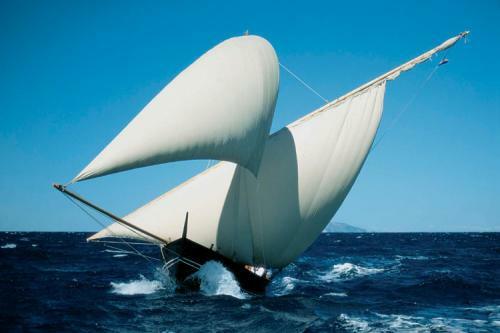 Rota Palagruzona is the oldest European regatta, forgotten in 20th century, but restored again in 21st century. More about today’s regatta you can find on this link Rota Palagruzona. Falkusa* (Croatian falkuša) is a traditional fishing boat used by fishermen from the town of Komiža on the Adriatic island of Vis, Croatia. 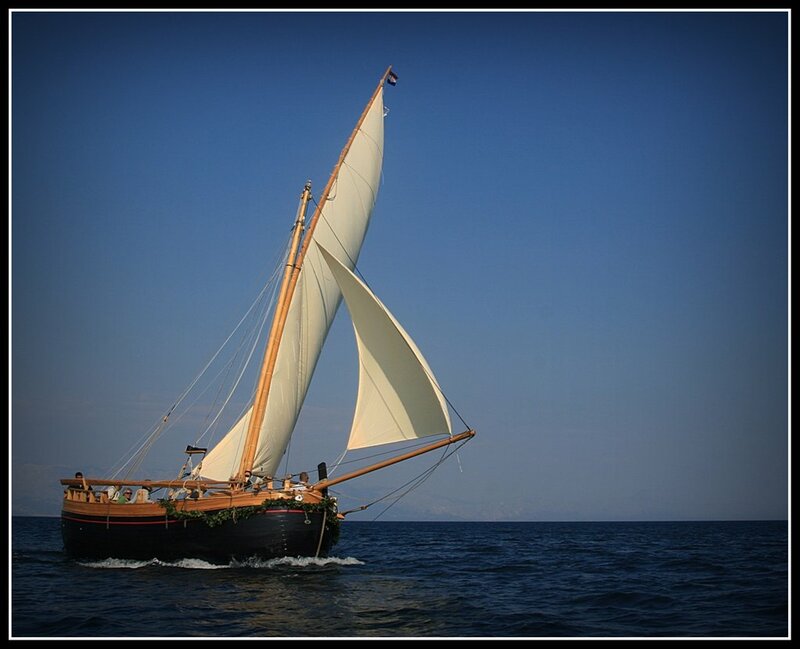 Falkusa is a subtype of gajeta**, a traditional Dalmatian fishing sailboat and is sometimes called gajeta falkuša. **Legend says, after fall of Troy, Aeneas sails Mediterranean Sea in search of new land where he could raise new town. Founder of Rome was docked with his fleet at beach close to today city of Napoli. His nanny died after that, so he buries her on the same beach where his boats were docked. At that place, where Kaieta was buried – woman who fed with her milk founder of Rome, city was build with name Gaeta, after Aeneas’s nanny. 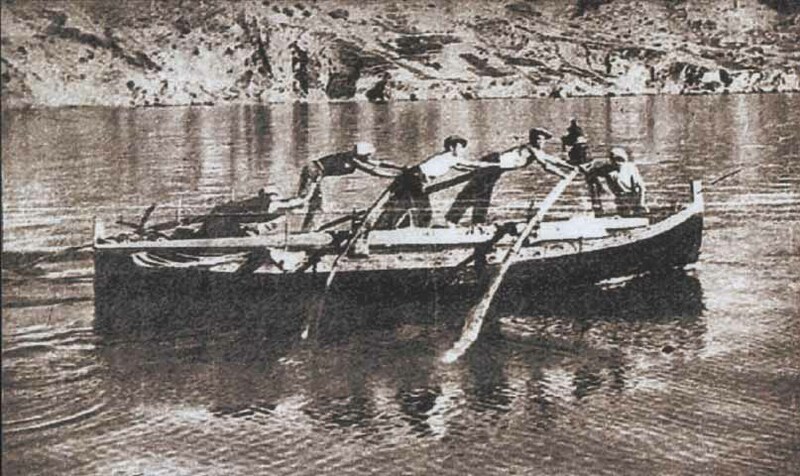 *First document about regatta with falkuša boats was mentioned in year 1593 (Liber Comisae, Nikola Borčič 18th century). According to that document, on May 9th, 1593, 74 falkuša boats started from Komiža with 370 fishermen armed with arquebuses (pirates defence) shepherded with Venetian war boats. 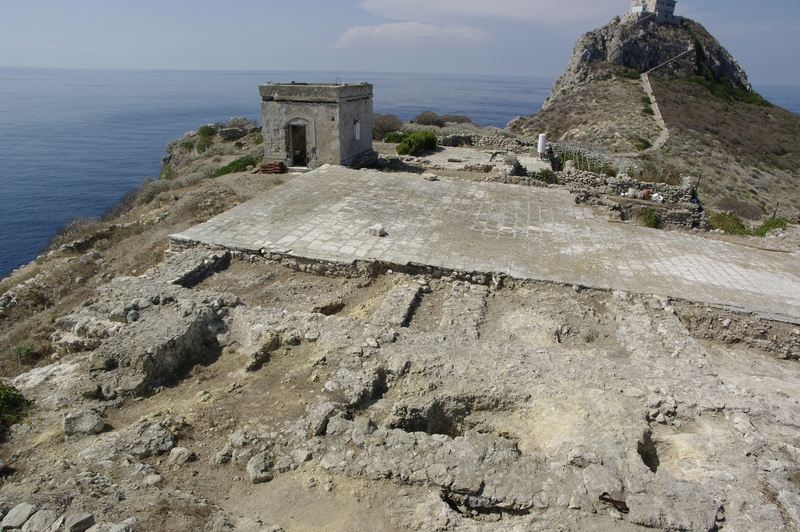 Recent archaeological discoveries on Palagruza prove that the island fascinated the Greek hero Diomedes, survivor of the Trojan War and one of the most famous Greek warriors along with Odysseus. 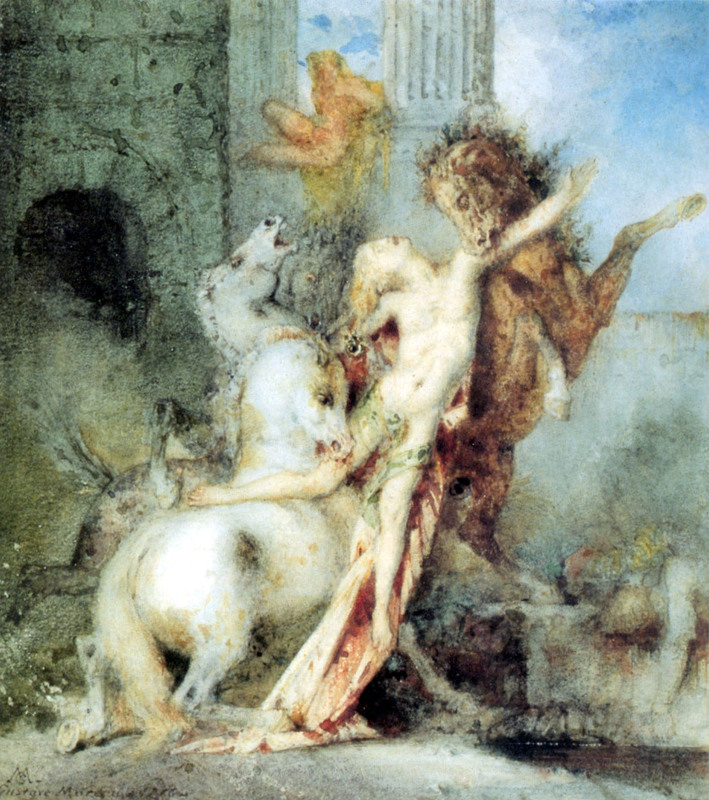 After the Trojan War, Diomedes made his way to the Adriatic where he fought the Illyrians. It is believed that Diomedes’ final resting place is on the island. Legend has it that, after Illyrians killed Diomedes’ warriors, Zeus transformed their souls into birds. Ever since, they have been guarding the Trojan hero’s grave.